This weeks seminar will be given by Inka Bohlin and Mats Nilsson. The title is: “Use of photogrammetric point cloud data together with field data from National Forest Inventory: possibilities and weaknesses”. 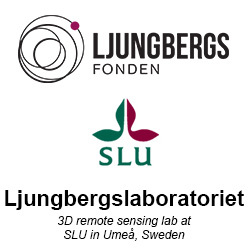 Welcome to Ljungbergslaboratoriet on Thursday the 4th February at 14:30. The seminar is approximately 30 minutes including questions. Photogrammetric point cloud of agricultural and forest landscape. Previous Previous post: Remote sensing – Today and in the future at SCA forest!